As has been observed, John's first epistle is a repetitive book -- as is the whole of the Bible. There are three primary points that the disciple Jesus loved wants to imprint on our hearts and minds. The first is that our eternity rests on our faith in Jesus, and Jesus alone. 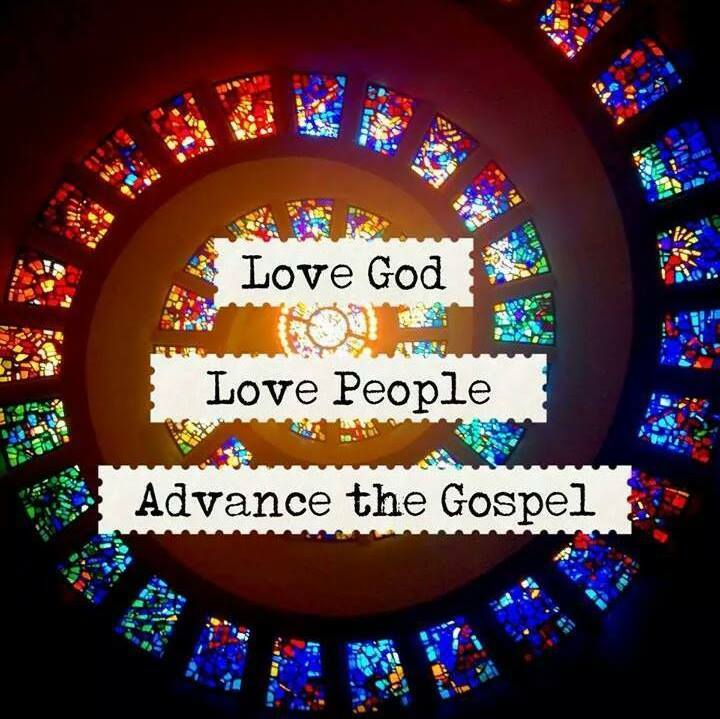 The second is that those who truly have put their faith in Jesus will exhibit fruit -- our growing love for others is the litmus test of our faith. The third is that we must be discerning -- many antichrists are already among us, and they are intent on deceiving us. Here, at the beginning of the fifth chapter, John answers again the single most important question we will ever ask ourselves -- who is Jesus? Interestingly, the answer to that question is intertwined with a second question -- what does Jesus have to offer us? On the first point, we are told that Jesus is the Son of God. We are also told that he is the one who came by water and blood. To emphasize the importance of this duality, John repeats himself: "He did not come by water only, but by water and blood." 1 John 5:6. Throughout the ages theologians have wrestled with the precise meaning and significance of all of this. Some think that "water and blood" refers to Jesus being pierced with a spear while on the cross -- "bringing a sudden flow of blood and water." John 19:34. Others think it refers to the sacraments of Baptism and Communion. Still others would say it refers to the baptism of Jesus himself and His death on the Cross. This question will no doubt continue to be debated until Jesus returns, and we can certainly dwell on such things if we so choose. At the same time, we should not let such debates distract us from the point John is making -- Jesus is the Son of God. The catalyst for John's first letter was that some people had left the fellowship, believing that Jesus was different in some way than the Jesus John knew and testified to. Perhaps they had embraced some form of gnosticism. In any event, John tells us that "there are three that testify: the Spirit, the water and the blood; and the three are in agreement." 1 John 5:7. Whatever else John is trying to tell us, I think he is making clear that Jesus, while on the earth, was fully God and fully man. It is this Jesus, and this Jesus alone, who must be the object of our faith. He is the one who came to earth in human form, was born of the virgin Mary, who died on the Cross for our sins and who rose again. He is the one who will come again to judge the living and the dead. To conceive of Jesus as a great teacher, or a great philosopher, or a great person will not do. He is the living God, and understanding him to be such is the only way to obtain what Jesus has to offer. And what is it exactly that Jesus has to offer us? The first offer, of course, is eternal life. "And this is the testimony: God has given us eternal life, and this life is in his Son." Put differently, the first offer for those who believe is eternity in the presence of God. But "belief" here is not mere intellectual assent. The Greek word is πιστεύω (pisteuō). It means to believe, to trust and to submit to the power of. We must make Jesus the Lord of our lives to be saved. The second offer is the power to carry out God's commands -- and particularly his command to love others. Obeying God's commands is impossible through our own strength. The pull of the world is diametrically opposed to the pull of the Spirit. The world calls us to selfishness while God calls us to selflessness. Anyone who is honest with himself recognizes this tension. We all struggle with even the idea of putting others ahead of ourselves. And, the problem becomes compounded when the "others" of whom Jesus speaks are our enemies -- or His enemies. But with true faith in Jesus comes the power to overcome the world: "In fact, this is love for God: to keep his commands. And his commands are not burdensome, for everyone born of God overcomes the world. This is the victory that has overcome the world, even our faith. Who is it that overcomes the world? Only the one who believes that Jesus is the Son of God." 1 John 5:3-5. What is impossible for man becomes possible through the power of His Spirit. Indeed, His power is so great that commands that are impossible to keep in the flesh are not even burdensome for the spirit. It is interesting to me that in the past few decades much of the Christian community has focused on the "moral decline" in America. Indeed, a great deal of time, effort and money has been spent trying to legislate morality through the political process. The two observations I would make about this are (1) those efforts do not seem to have had much success; and (2) legislating morality, were it possible, would not achieve the only really meaningful goal that we should have as Christians -- leading other people to a relationship with Jesus. Looking back now, I am afraid that our attempts to legislate morality actually played into the hands of our enemy. Our efforts alienated many, and probably diverted our attention away from the real battle -- the battle for hearts and minds. In fact, I would say that the real battle, and the one we largely missed, has been taking place at the core of our faith. It was, and is, a battle over exactly what John has been talking about in this letter -- the truth of who Jesus is and the war that rages within between loving ourselves and loving others. According to research from The Barna Group published in 2015, while most American adults at least agree that Jesus was a real historical figure, there is increasing disagreement about who Jesus was and is. In fact, for the first time in American history less than 50% of one generation group (millennials) believe that Jesus is God. Moreover, there is a clear, negative trend from generation to generation. According to the same research: "[f]ewer than half of Millennials believe Jesus was God (48%), compared to 55 percent of Gen-Xers, 58 percent of Boomers and nearly two-thirds of Elders (62%). Young adults among the youngest generation are also less likely than older Americans to say they have made a personal commitment to Christ. Just 46 percent say they have made such a commitment, compared with six in 10 Gen-Xers (59%), 65 percent of Boomers and seven out of 10 Elders (71%)." In short, the greatest battle we have faced in America over the last fifty or so years has not been one of declining morals, but instead one of declining faith. It is the greatest commandment itself, to love the Lord your God with all your heart and with all your soul and with all your mind, that has been at the epicenter of the enemy's attack. The call of Jesus to love others more than ourselves, the second greatest commandment, has similarly been under siege in recent decades. We hardly need statistics or a study to confirm that as a culture we are increasing becoming a selfish, self-centered people. And, I am afraid the pattern is little different in the church than outside of it. Again, it is no great surprise where the culture, in and outside the church, is heading. Commenting on questionnaires given to college age people over the last thirty years or so, this same psychologist made this observation. "Over the years, these questionnaires have been administered to many samples of college students, and analyses that bring all of the data together reveal that the average narcissism score has been steadily increasing and the average empathy score has been steadily decreasing ever since the questionnaires were developed. The changes are highly significant statistically and sufficiently large that approximately 70 percent of students today score higher on narcissism and lower on empathy than did the average student thirty years ago." What do I take away from all of this? At the end of the day, I think as God's people we need to repent and return to our first love -- Jesus. We need to take seriously his call to put him first in our lives and to love others with the infinite love of Jesus. Our willingness to obey God's commandments is not just a reflection of our individual love for Jesus. It is not a call that has implications limited to our own salvation or spiritual maturity. Rather, it has wide-ranging implications for our families, our friends, our places of work, our communities and beyond. It is the epicenter of the attack of an enemy that has come to kill, steal and destroy. You framed this argument, leveled it and hung it up for us to see, John. The prophet Isaiah said that Jesus would have no beauty that we should desire Him, would be despised and rejected by men, a man of sorrows and acquainted with grief (53:2,3). In today's culture, we choose beauty, success and fame over inward qualities of integrity and truth, as evidenced by the current presidential race. Our love for Jesus represents the vertical beam of the cross, and loving others, the horizontal. Jesus said if anyone would be His follower, he must deny himself and take up his cross and follow Him (Matthew 16:24). Thank you for commenting. So true. Culturally we used to be a people growing up of expected standards from our parents, peers, church and others. It was a more "this is who I am expected to be" versus a "this is who I want to be" decision made on my own. Granted both have their flaws, but at least the former gave some sort of guide, parameter, goal and even encouragement. Now, it is all looking INWARD with no such expectation or barometer. The "I did this" as we know, this self reliance, relegates us to a life of "hit and miss" existence...leading many to delusionally "remake" themselves in to whatever whim their prevailing situation dictates. "I make my own decisions"..."Well, that's just who I am." Narcissism at it's finest. Trying to drive a car without a steering wheel. The movement of the enemy and antichrist no doubt will hinge on the "Power of Self" vs "Reliance on...anything." Like any enemy in battle the surest tactic is divide to conquer. Isolate and confuse. Our technology, phones, entertainment, possessions and the list goes on of false idols have all done this rapidly to our society and culture. So we must not ignore but discern. We must believe through discouragement. We must be the counter-culture for the first time since the first 3 centuries and Constantine. We must face the enemy and not run away. The love of Jesus triumphs over all. The enemy's game is the same as it was in the garden...and so is God's love.